People with untreated hearing loss lose as much as $30,000 in salary and wages annually, depending on their degree of hearing loss, according to the latest national study by the Better Hearing Institute (BHI). And the cost to society is estimated to be as high as $26 billion in unrealized federal taxes. Use of hearing aids was shown to reduce the risk of income loss by 90 to 100 percent for those with milder hearing loss, and from 65 to 77 percent for those with severe to moderate hearing loss, the study of more than 40,000 households showed. The loss in salary and wage for people with untreated hearing loss due to underemployment is estimated at $176 billion, according to the BHI study. And there is a strong relationship between the degree of hearing loss and unemployment for those who do not use hearing aids. Those with severe hearing loss had unemployment rates (15.6%) double that of the normal-hearing population (7.8%), and nearly double that of their peers (8.3%) who use hearing aids. About 11 percent of the U.S. population has some degree of hearing loss. Yet hearing loss remains one of the most commonly unaddressed health conditions in America today. In fact, only 40 percent of Americans with moderate to severe hearing loss and 9 percent of those with mild hearing loss wear hearing aids. What’s more, fewer than 15 percent of those who received a physical exam in the last year said they received a hearing screening by their physician or nurse during that exam-despite the fact that the vast majority of those with hearing loss could benefit from hearing aids. Create a corporate climate where hearing loss is acceptable. This may positively affect workers who feel stigmatized and hide their hearing loss on the job. Cover hearing aids in corporate insurance plans. Recommend that employees use the company’s medical flex-spend program to buy hearing aids. Provide easy accommodations, such as moving an employee’s desk away from noisy hallways or installing a phone that amplifies high frequencies. Design cubicles with noise-absorbent materials or equip meeting rooms with inductive loops. Perhaps most important, Kochkin urges human resource executives to increase awareness and education among employees of the importance of addressing hearing loss. This is especially relevant because 50 percent of people with untreated hearing loss have never had their hearing professionally checked. 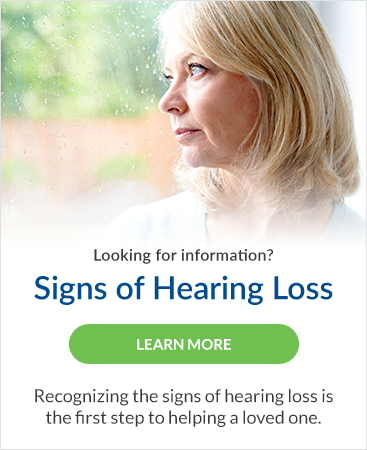 To facilitate a timely hearing test for all American workers, BHI is offering an online hearing test (www.hearingcheck.org) where people can quickly assess if they need a more comprehensive hearing check by a hearing professional.